Are you thinking what I have been thinking? The holiday season is almost here! Come November and the party season starts. There are endless weddings, thanksgiving and then Christmas and New year eve just comes swinging in! The parties start and our woes too. Yes, we girls are always wardrobe challenged. After all we can never repeat a single outfit twice. So we end up buying tonnes of clothes and yet we need to buy everytime we have to attend a function. I too fall in the same category. Now with so many weddings in these two months, I have really run out of party dresses. So I turned to what I do best: online shopping and came across Styledress. Styledress.co.nz has a really cool collection of everything that is worn on special occasions. From wedding dresses to ball dresses to cocktail dresses to summer dresses to Formal Dresses NZ, they have it all. And the best part? They are very reasonably priced and that too at heavy discounts. the price factor is a big deciding factor for us girls. Since we tend to shop so much, we cannot afford clothing with hefty price tags. Yet we cannot compromise on style. So stylish cheap dresses are the call of the day. I wanted to buy at least tens of dresses but I decided to buy this one at this moment. This winter classic off shoulder dress is a timeless piece, an investment. 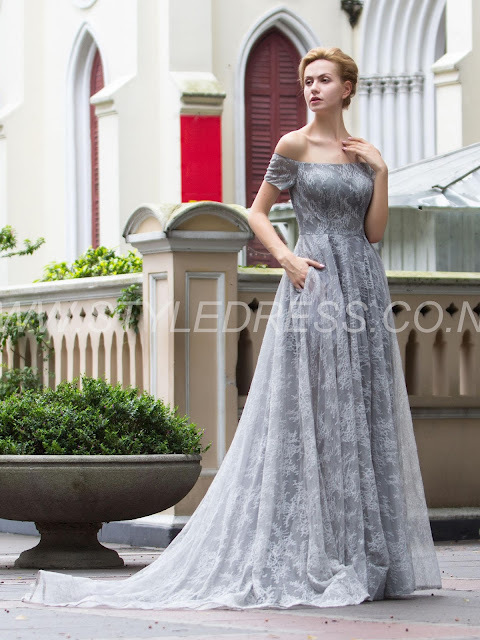 The white lace makes it delicate and feminine. The off shoulder makes it a party staple. A wardrobe should be balanced with classics, casuals, formals and right now trends. Trends come and go but classics always prevail. So a timeless classic like this one will not only look beautiful at the next party but for years to come! Which kind of items do you prefer for your wardrobe?